A wife worries for her family's survival during the 1965 Indo-Pak war. A mother is horrified when she learns that her daughter wants to marry her American boyfriend. An American housewife living in Lahore has a tempestuous affair with a Pakistani minister. An aged matriarch travels to the USA to discover she must confront a traumatic memory from her past. 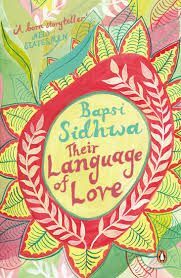 Finely nuanced and laced with Sidhwa's sharply comic observations, this is a stellar collection of tales from one of the subcontinent's most important and beloved writers. Bapsi Sidhwa is an internationally acclaimed author. Raised in Lahore, Pakistan, she now lives in Houston, Texas. She has written five novels Ice-Candy-Man, The Pakistani Bride, The Crow Eaters, An American Brat and Water which have been translated and published in several languages. She has edited the anthology City of Sin and Splendour: Writings on Lahore which was published in 2006. Among her many honours Sidhwa received the Bunting Fellowship at Radcliffe/Harvard, the Lila Wallace-Reader's Digest Writer's Award, the Sitara-i-Imtiaz, Pakistan's highest national honor in the arts and the LiBeraturepreis in Germany and the 2007 Primo Mondello Award in Italy.